Pantheism derives from the Greek πᾶν pan (meaning "all, of everything") and θεός theos (meaning "god, divine"). The first known combination of these roots appears in Latin, in Joseph Raphson's 1697 book De Spatio Reali seu Ente Infinito, where he refers to the "pantheismus" of Spinoza and others. It was subsequently translated into English as "pantheism" in 1702. Pantheism is the view that everything is part of an all-encompassing, immanent God. All forms of reality may then be considered either modes of that Being, or identical with it. Some hold that pantheism is a non-religious philosophical position. To them, pantheism is the view that the Universe (in the sense of the totality of all existence) and God are identical (implying a denial of the personality and transcendence of God). Early traces of pantheist thought can be found within the theology of the ancient Greek religion of Orphism, where pan (the all) is made cognate with the creator God Phanes (symbolizing the universe), and with Zeus, after the swallowing of Phanes. The Roman Catholic Church has long regarded pantheistic ideas as heresy. Giordano Bruno, an Italian monk who evangelized about an immanent and infinite God, was burned at the stake in 1600 by the Roman Inquisition. He has since become known as a celebrated pantheist and martyr of science, and an influence on many later thinkers. The philosophy of Baruch Spinoza is often regarded as pantheism. In the West, pantheism was formalized as a separate theology and philosophy based on the work of the 17th-century philosopher Baruch Spinoza. :p.7 Spinoza was a Dutch philosopher of Portuguese descent raised in the Sephardi Jewish community in Amsterdam. He developed highly controversial ideas regarding the authenticity of the Hebrew Bible and the nature of the Divine, and was effectively excluded from Jewish society at age 23, when the local synagogue issued a herem against him. A number of his books were published posthumously, and shortly thereafter included in the Catholic Church's Index of Forbidden Books. The breadth and importance of Spinoza's work would not be realized for many years - as the groundwork for the 18th-century Enlightenment and modern biblical criticism, including modern conceptions of the self and the universe. In the posthumous Ethics, "Spinoza wrote the last indisputable Latin masterpiece, and one in which the refined conceptions of medieval philosophy are finally turned against themselves and destroyed entirely.". In particular, he opposed René Descartes' famous mind–body dualism, the theory that the body and spirit are separate. Spinoza held the monist view that the two are the same, and monism is a fundamental part of his philosophy. He was described as a "God-intoxicated man," and used the word God to describe the unity of all substance. This view influenced philosophers such as Georg Wilhelm Friedrich Hegel, who said, "You are either a Spinozist or not a philosopher at all." Spinoza earned praise as one of the great rationalists of 17th-century philosophy and one of Western philosophy's most important thinkers. Although the term "pantheism" was not coined until after his death, he is regarded as the most celebrated advocate of the concept. Ethics was the major source from which Western pantheism spread. Heinrich Heine, in his Concerning the History of Religion and Philosophy in Germany (1833–36), remarked that "I don't remember now where I read that Herder once exploded peevishly at the constant preoccupation with Spinoza, "If Goethe would only for once pick up some other Latin book than Spinoza!" But this applies not only to Goethe; quite a number of his friends, who later became more or less well-known as poets, paid homage to pantheism in their youth, and this doctrine flourished actively in German art before it attained supremacy among us as a philosophic theory." In their The Holy Family (1844) Karl Marx and Friedrich Engels notes, "Spinozism dominated the eighteenth century both in its later French variety, which made matter into substance, and in deism, which conferred on matter a more spiritual name.... Spinoza's French school and the supporters of deism were but two sects disputing over the true meaning of his system...."
In George Henry Lewes's words (1846), "Pantheism is as old as philosophy. It was taught in the old Greek schools — by Plato, by St. Augustine, and by the Jews. Indeed, one may say that Pantheism, under one of its various shapes, is the necessary consequence of all metaphysical inquiry, when pushed to its logical limits; and from this reason do we find it in every age and nation. The dreamy contemplative Indian, the quick versatile Greek, the practical Roman, the quibbling Scholastic, the ardent Italian, the lively Frenchman, and the bold Englishman, have all pronounced it as the final truth of philosophy. Wherein consists Spinoza's originality? — what is his merit? — are natural questions, when we see him only lead to the same result as others had before proclaimed. His merit and originality consist in the systematic exposition and development of that doctrine — in his hands, for the first time, it assumes the aspect of a science. The Greek and Indian Pantheism is a vague fanciful doctrine, carrying with it no scientific conviction; it may be true — it looks true — but the proof is wanting. But with Spinoza there is no choice: if you understand his terms, admit the possibility of his science, and seize his meaning; you can no more doubt his conclusions than you can doubt Euclid; no mere opinion is possible, conviction only is possible." S. M. Melamed (1933) noted, "It may be observed, however, that Spinoza was not the first prominent monist and pantheist in modern Europe. A generation before him Bruno conveyed a similar message to humanity. Yet Bruno is merely a beautiful episode in the history of the human mind, while Spinoza is one of its most potent forces. Bruno was a rhapsodist and a poet, who was overwhelmed with artistic emotions; Spinoza, however, was spiritus purus and in his method the prototype of the philosopher." The first known use of the term "pantheism" was in Latin ("pantheismus" ) by the English mathematician Joseph Raphson in his work De Spatio Reali seu Ente Infinito, published in 1697. Raphson begins with a distinction between atheistic "panhylists" (from the Greek roots pan, "all", and hyle, "matter"), who believe everything is matter, and Spinozan "pantheists" who believe in "a certain universal substance, material as well as intelligence, that fashions all things that exist out of its own essence." Raphson thought that the universe was immeasurable in respect to a human's capacity of understanding, and believed that humans would never be able to comprehend it. He referred to the pantheism of the Ancient Egyptians, Persians, Syrians, Assyrians, Greek, Indians, and Jewish Kabbalists, specifically referring to Spinoza. The term was first used in English by a translation of Raphson's work in 1702. It was later used and popularized by Irish writer John Toland in his work of 1705 Socinianism Truly Stated, by a pantheist.:pp. 617–618 Toland was influenced by both Spinoza and Bruno, and had read Joseph Raphson's De Spatio Reali, referring to it as "the ingenious Mr. Ralphson's (sic) Book of Real Space". Like Raphson, he used the terms "pantheist" and "Spinozist" interchangeably. In 1720 he wrote the Pantheisticon: or The Form of Celebrating the Socratic-Society in Latin, envisioning a pantheist society that believed, "All things in the world are one, and one is all in all things ... what is all in all things is God, eternal and immense, neither born nor ever to perish." He clarified his idea of pantheism in a letter to Gottfried Leibniz in 1710 when he referred to "the pantheistic opinion of those who believe in no other eternal being but the universe". Between 1785–89, a major controversy about Spinoza's philosophy arose between the German philosophers Friedrich Heinrich Jacobi (a critic) and Moses Mendelssohn (a defender). Known in German as the Pantheismusstreit (pantheism controversy), it helped spread pantheism to many German thinkers. A 1780 conversation with the German dramatist Gotthold Ephraim Lessing led Jacobi to a protracted study of Spinoza's works. Lessing stated that he knew no other philosophy than Spinozism. Jacobi's Über die Lehre des Spinozas (1st ed. 1785, 2nd ed. 1789) expressed his strenuous objection to a dogmatic system in philosophy, and drew upon him the enmity of the Berlin group, led by Mendelssohn. Jacobi claimed that Spinoza's doctrine was pure materialism, because all Nature and God are said to be nothing but extended substance. This, for Jacobi, was the result of Enlightenment rationalism and it would finally end in absolute atheism. Mendelssohn disagreed with Jacobi, saying that pantheism shares more characteristics of theism than of atheism. The entire issue became a major intellectual and religious concern for European civilization at the time. Willi Goetschel argues that Jacobi's publication significantly shaped Spinoza's wide reception for centuries following its publication, obscuring the nuance of Spinoza's philosophic work. During the beginning of the 19th century, pantheism was the viewpoint of many leading writers and philosophers, attracting figures such as William Wordsworth and Samuel Coleridge in Britain; Johann Gottlieb Fichte, Schelling and Hegel in Germany; Knut Hamsun in Norway; and Walt Whitman, Ralph Waldo Emerson and Henry David Thoreau in the United States. Seen as a growing threat by the Vatican, in 1864 it was formally condemned by Pope Pius IX in the Syllabus of Errors. A letter written by William Herndon, Abraham Lincoln's law partner in 1886, was sold at auction for US$30,000 in 2011. In it, Herndon writes of the U.S. President's evolving religious views, which included pantheism. Some 19th-century theologians thought that various pre-Christian religions and philosophies were pantheistic. They thought Pantheism was similar to the ancient Hindu:pp. 618 philosophy of Advaita (non-dualism) to the extent that the 19th-century German Sanskritist Theodore Goldstücker remarked that Spinoza's thought was "... a western system of philosophy which occupies a foremost rank amongst the philosophies of all nations and ages, and which is so exact a representation of the ideas of the Vedanta, that we might have suspected its founder to have borrowed the fundamental principles of his system from the Hindus." 19th-century European theologians also considered Ancient Egyptian religion to contain pantheistic elements and pointed to Egyptian philosophy as a source of Greek Pantheism.:pp. 618–620 The latter included some of the Presocratics, such as Heraclitus and Anaximander. The Stoics were pantheists, beginning with Zeno of Citium and culminating in the emperor-philosopher Marcus Aurelius. During the pre-Christian Roman Empire, Stoicism was one of the three dominant schools of philosophy, along with Epicureanism and Neoplatonism. The early Taoism of Laozi and Zhuangzi is also sometimes considered pantheistic, although it could be more similar to Panentheism. Cheondoism, which arose in the Joseon Dynasty of Korea, and Won Buddhism are also considered pantheistic. 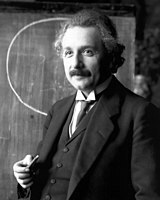 In a letter written to Eduard Büsching (25 October 1929), after Büsching sent Albert Einstein a copy of his book Es gibt keinen Gott ("There is no God"), Einstein wrote, "We followers of Spinoza see our God in the wonderful order and lawfulness of all that exists and in its soul [Beseeltheit] as it reveals itself in man and animal." According to Einstein, the book only dealt with the concept of a personal god and not the impersonal God of pantheism. In a letter written in 1954 to philosopher Eric Gutkind, Einstein wrote "the word God is for me nothing more than the expression and product of human weaknesses." In another letter written in 1954 he wrote "I do not believe in a personal God and I have never denied this but have expressed it clearly.". In the late 20th century, some declared that pantheism was an underlying theology of Neopaganism, and pantheists began forming organizations devoted specifically to pantheism and treating it as a separate religion. Levi Ponce's Luminaries of Pantheism in Venice, California for The Paradise Project. Albert Einstein is considered a pantheist by some commentators. In 2007, Dorion Sagan, the son of famous scientist and science communicator, Carl Sagan, published a book entitled Dazzle Gradually: Reflections on the Nature of Nature co-written with his mother, Lynn Margulis. In a chapter entitled, "Truth of My Father", he declares: "My father believed in the God of Spinoza and Einstein, God not behind nature, but as nature, equivalent to it." In 2015, Los Angeles muralist Levi Ponce was commissioned to paint the 75-foot mural Luminaries of Pantheism on Ocean Front Walk in Venice, Los Angeles, California. The organization that commissioned the work, The Paradise Project, is "dedicated to celebrating and spreading awareness about pantheism." The mural depicts Albert Einstein, Alan Watts, Baruch Spinoza, Terence McKenna, Carl Jung, Carl Sagan, Emily Dickinson, Nikola Tesla, Friedrich Nietzsche, Ralph Waldo Emerson, W.E.B. Du Bois, Henry David Thoreau, Elizabeth Cady Stanton, Rumi, Adi Shankara, and Laozi. The philosopher Charles Hartshorne used the term Classical Pantheism to describe the deterministic philosophies of Baruch Spinoza, the Stoics, and other like-minded figures. Pantheism (All-is-God) is often associated with monism (All-is-One) and some have suggested that it logically implies determinism (All-is-Now). Albert Einstein explained theological determinism by stating, "the past, present, and future are an 'illusion'". This form of pantheism has been referred to as "extreme monism", in which – in the words of one commentator – "God decides or determines everything, including our supposed decisions." Other examples of determinism-inclined pantheisms include those of Ralph Waldo Emerson, and Hegel. In 1896, J. H. Worman, a theologian, identified seven categories of pantheism: Mechanical or materialistic (God the mechanical unity of existence); Ontological (fundamental unity, Spinoza); Dynamic; Psychical (God is the soul of the world); Ethical (God is the universal moral order, Fichte; Logical (Hegel); and Pure (absorption of God into nature, which Worman equates with atheism). Nature worship or nature mysticism is often conflated and confused with pantheism. It is pointed out by at least one expert in pantheist philosophy that Spinoza's identification of God with nature is very different from a recent idea of a self identifying pantheist with environmental ethical concerns, Harold Wood, founder of the Universal Pantheist Society. His use of the word nature to describe his worldview may be vastly different from the "nature" of modern sciences. He and other nature mystics who also identify as pantheists use "nature" to refer to the limited natural environment (as opposed to man-made built environment). This use of "nature" is different from the broader use from Spinoza and other pantheists describing natural laws and the overall phenomena of the physical world. Nature mysticism may be compatible with pantheism but it may also be compatible with theism and other views. Nontheism is an umbrella term which has been used to refer to a variety of religions not fitting traditional theism, and under which pantheism has been included. Pandeism is another word derived from pantheism, and is characterized as a combination of reconcilable elements of pantheism and deism. It assumes a Creator-deity that is at some point distinct from the universe and then transforms into it, resulting in a universe similar to the pantheistic one in present essence, but differing in origin. Many traditional and folk religions including African traditional religions and Native American religions can be seen as pantheistic, or a mixture of pantheism and other doctrines such as polytheism and animism. According to pantheists, there are elements of pantheism in some forms of Christianity. Ideas resembling pantheism existed in East/South Asian religions before the 18th century (notably Sikhism, Hinduism, Confucianism, and Taoism). Although there is no evidence that these influenced Spinoza's work, there is such evidence regarding other contemporary philosophers, such as Leibniz, and later Voltaire. In the case of Hinduism, pantheistic views exist alongside panentheistic, polytheistic, monotheistic, and atheistic ones. In the case of Sikhism, stories attributed to Guru Nanak suggest that he believed God was everywhere in the physical world, and the Sikh tradition typically describes God as the preservative force within the physical world, present in all material forms, each created as a manifestation of God. However, Sikhs view God as the transcendent creator, "immanent in the phenomenal reality of the world in the same way in which an artist can be said to be present in his art". This implies a more panentheistic position. Pantheism is popular in modern spirituality and new religious movements, such as Neopaganism and Theosophy. Two organizations that specify the word pantheism in their title formed in the last quarter of the 20th century. The Universal Pantheist Society, open to all varieties of pantheists and supportive of environmental causes, was founded in 1975. The World Pantheist Movement is headed by Paul Harrison, an environmentalist, writer and a former vice president of the Universal Pantheist Society, from which he resigned in 1996. The World Pantheist Movement was incorporated in 1999 to focus exclusively on promoting naturalistic pantheism - a strict metaphysical naturalistic version of pantheism, considered by some a form of religious naturalism. It has been described as an example of "dark green religion" with a focus on environmental ethics. ^ The New Oxford Dictionary Of English. Oxford: Clarendon Press. 1998. p. 1341. ISBN 978-0-19-861263-6. ^ Encyclopedia of Philosophy ed. Paul Edwards. New York: Macmillan and Free Press. 1967. p. 34. ^ A Companion to Philosophy of Religion edited by Charles Taliaferro, Paul Draper, Philip L. Quinn, p.340 "They deny that God is "totally other" than the world or ontologically distinct from it." ^ a b c Levine, Michael, Pantheism: A Non-Theistic Concept of Deity, Psychology Press, 1994, ISBN 9780415070645, pgs 44, 274-275. "The idea that Unity that is rooted in nature is what types of nature mysticism (e.g. Wordsworth, Robinson Jeffers, Gary Snyder) have in common with more philosophically robust versions of pantheism. It is why nature mysticism and philosophical pantheism are often conflated and confused for one another." ^ a b c Taylor, Bron (2008). Encyclopedia of Religion and Nature. A&C Black. pp. 1341–1342. ISBN 978-1441122780. Retrieved 27 July 2017. ^ a b c Ann Thomson; Bodies of Thought: Science, Religion, and the Soul in the Early Enlightenment, 2008, page 54. ^ a b c Picton, James Allanson (1905). Pantheism: its story and significance. Chicago: Archibald Constable & CO LTD. ISBN 978-1419140082. ^ Mastin, Luke. "Pantheism - By Branch / Doctrine - The Basics of Philosophy". www.philosophybasics.com. ^ Owen, H. P. Concepts of Deity. London: Macmillan, 1971, p. 65..
^ Damascius, referring to the theology delivered by Hieronymus and Hellanicus in "The Theogonies". sacred-texts.com. :"... the theology now under discussion celebrates as Protogonus (First-born) [Phanes], and calls him Dis, as the disposer of all things, and the whole world: upon that account he is also denominated Pan." ^ a b c d e f g h i j Worman, J. H., "Pantheism", in Cyclopædia of Biblical, Theological, and Ecclesiastical Literature, Volume 1, John McClintock, James Strong (Eds), Harper & Brothers, 1896, pp 616–624. ^ Collinge, William, Historical Dictionary of Catholicism, Scarecrow Press, 2012, p 188, ISBN 9780810879799. ^ *Fraser, Alexander Campbell "Philosophy of Theism", William Blackwood and Sons, 1895, p 163. ^ Anthony Gottlieb. "God Exists, Philosophically (review of "Spinoza: A Life" by Steven Nadler)". The New York Times, Books. 18 July 1999. Retrieved 7 September 2009. ^ "Why Spinoza Was Excommunicated". National Endowment for the Humanities. 1 September 2015. Retrieved 5 September 2017. ^ Scruton 1986 (2002 ed. ), ch. 1, p.32. ^ a b c Plumptre, Constance (1879). General sketch of the history of pantheism, Volume 2. London: Samuel Deacon and Co. pp. 3–5, 8, 29. ISBN 9780766155022. ^ Hegel's History of Philosophy. Google Books. 2003. ISBN 9780791455432. Archived from the original on 13 May 2011. Retrieved 2 May 2011. ^ Gilles Deleuze (1990). "(translator's preface)". Expressionism in Philosophy: Spinoza. Zone Books. Referred to as "the prince" of the philosophers. ^ Shoham, Schlomo Giora (2010). To Test the Limits of Our Endurance. Cambridge Scholars. p. 111. ISBN 978-1443820684. ^ Raphson, Joseph (1697). De spatio reali (in Latin). Londini. p. 2. ^ Suttle, Gary. "Joseph Raphson: 1648–1715". Pantheist Association for Nature. Retrieved 7 September 2012. ^ Koyré, Alexander (1957). From the Closed World to the Infinite Universe. Baltimore, Md. : Johns Hopkins Press. pp. 190–204. ISBN 978-0801803475. ^ Bennet, T (1702). The History of the Works of the Learned. H.Rhodes. p. 498. Retrieved 28 July 2017. ^ Dabundo, Laura (2009). Encyclopedia of Romanticism (Routledge Revivals):. Routledge. pp. 442–443. ISBN 978-1135232351. Retrieved 27 July 2017. ^ Daniel, Stephen H. "Toland's Semantic Pantheism," in John Toland's Christianity not Mysterious, Text, Associated Works and Critical Essays. Edited by Philip McGuinness, Alan Harrison, and Richard Kearney. Dublin, Ireland: The Lilliput Press, 1997. ^ Harrison, Paul. "Toland: The father of modern pantheism". Pantheist History. World Pantheist Movement. Retrieved 5 September 2012. ^ a b c Paul Harrison, Elements of Pantheism, 1999. ^ Honderich, Ted, The Oxford Companion to Philosophy, Oxford University Press, 1995, p.641: "First used by John Toland in 1705, the term 'pantheist' designates one who holds both that everything there is constitutes a unity and that this unity is divine." ^ Worman cites Waterland, Works, viii, p 81. ^ Worman cites Wegscheider, Inst 57, p 250. ^ Friedrich Heinrich Jacobi, in Stanford Encyclopedia of Philosophy (plato.stanford.edu). ^ Dahlstrom (3 December 2002). "Moses Mendelssohn". Stanford Encyclopedia of Philosophy. Retrieved 28 July 2017. ^ Goetschel, Willi (2004). Spinoza's Modernity: Mendelssohn, Lessing, and Heine. Madison, Wisconsin: University of Wisconsin Press. pp. 12–13. ISBN 978-0299190804. ^ Pope BI. Pius IX (9 June 1862). "Syllabus of Errors 1.1". Papal Encyclicals Online. Retrieved 28 July 2017. ^ a b Herndon, William (4 February 1866). "Sold – Herndon's Revelations on Lincoln's Religion" (Excerpt and review). Raab Collection. Retrieved 5 June 2012. ^ a b Adams, Guy (17 April 2011). "'Pantheist' Lincoln would be unelectable today". The Independent. Los Angeles. Retrieved 5 June 2012. ^ Literary Remains of the Late Professor Theodore Goldstucker, W. H. Allen, 1879. p32. ^ Thilly, Frank, "Pantheism", in Encyclopedia of Religion and Ethics, Part 18, Hastings, James (Ed. ), Kessinger Publishing, 2003 (reprint, originally published 1908), p 614, ISBN 9780766136953. ^ Armstrong, AH (1967). The Cambridge History of Later Greek and Early Medieval Philosophy. Cambridge University Press. pp. 57, 60, 161, 186, 222. ISBN 978052104-0549. ^ McLynn, Frank (2010). Marcus Aurelius: A Life. Da Capo Press. p. 232. ISBN 9780306819162. ^ a b "Belief in God a 'product of human weaknesses': Einstein letter". CBC Canada. 13 May 2008. Retrieved 31 August 2011. ^ Margot Adler, Drawing Down the Moon, Beacon Press, 1986. ^ Sagan, Dorion, "Dazzle Gradually: Reflections on the Nature of Nature" 2007, p 14. ^ a b Caritas In Veritate, 7 July 2009. ^ "Message of His Holiness Pope Benedict XVI For The Celebration Of The World Day Of Peace". ^ ""Luminaries of Pantheism" (2015) by Levi Ponce - PUBLIC ART IN PUBLIC PLACES". www.publicartinpublicplaces.info. Retrieved 13 February 2018. ^ Rod, Perry. "About the Paradise Project". The Paradise Project. Retrieved 21 June 2017. ^ "New mural in Venice! "Luminaries of Pantheism"". Venice Paparazzi. 14 January 2015. Retrieved 19 October 2015. ^ Levine, Michael. "Pantheism". The Stanford Encyclopedia of Philosophy. ^ Charles Hartshorne and William Reese, ed. (1953). Philosophers Speak of God. Chicago: University of Chicago Press. pp. 165–210. ^ Goldsmith, Donald; Marcia Bartusiak (2006). E = Einstein: His Life, His Thought, and His Influence on Our Culture. New York: Stirling Publishing. p. 187. ISBN 9781402763199. ^ Isaacson, Walter (2007). Einstein: His Life and Universe. Simon and Schuster. p. 391. ISBN 9781416539322. I am a determinist. ^ Lindsay Jones, ed. (2005). Encyclopedia of Religion: Volume 10 (2nd ed.). USA: MacMillan. ISBN 978-0028657332. ^ Dependence and Freedom: The Moral Thought of Horace Bushnell By David Wayne Haddorff  Emerson's belief was "monistic determinism". Creatures of Prometheus: Gender and the Politics of Technology By Timothy Vance Kaufman-Osborn, Prometheus ((Writer))  "Things are in a saddle, and ride mankind." ^ Levine, Michael P. (August 1992). "Pantheism, substance and unity". International Journal for Philosophy of Religion. 32 (1): 1–23. doi:10.1007/bf01313557. JSTOR 40036697. ^ "Pantheism". The Columbia Electronic Encyclopedia, Sixth Edition. Columbia University Press. 2012. Retrieved 13 June 2012. ^ Owen, H. P. Concepts of Deity. London: Macmillan, 1971, p. 67. ^ a b c d Urmson 1991, p. 297. ^ a b c d Brugger 1972. ^ a b c d Mandik 2010, p. 76. ^ Levine, Michael Philip (1994). Pantheism: A Non-Theistic Concept of Deity. Psychology Press. ISBN 9780203014776. ^ Routledge Encyclopedia of Philosophy: Genealogy to Iqbal edited by Edward Craig, pg 100 . ^ Sean F. Johnston (2009). The History of Science: A Beginner's Guide. p. 90. ISBN 978-1-85168-681-0. ^ Haught, John F. (1990). What Is Religion? : An Introduction. Paulist Press. p. 19. ^ Parrinder, EG (1970). "Monotheism and Pantheism in Africa". Journal of Religion in Africa. 3 (2): 81–88. doi:10.1163/157006670x00099. JSTOR 1594816. ^ Levine 1994, p. 67. ^ Harrison, Paul. "North American Indians: the spirituality of nature". World Pantheist Movement. Retrieved 7 September 2012. ^ Harrison, Paul. "The origins of Christian pantheism". Pantheist history. World Pantheists Movement. Retrieved 20 September 2012. ^ Zaleha, Bernard. "Recovering Christian Pantheism as the Lost Gospel of Creation". Fund for Christian Ecology, Inc. Archived from the original on 17 July 2012. Retrieved 20 September 2012. ^ Mungello, David E (1971). "Leibniz's Interpretation of Neo-Confucianism". Philosophy East and West. 21 (1): 3. doi:10.2307/1397760. JSTOR 1397760. ^ Fowler 1997, p. 2. ^ Fowler 2002, p. 15-32. ^ Long 2011, p. 128. ^ Singh, Nikky-Guninder Kaur (1992). "The Myth of the Founder: The Janamsākhīs and Sikh Tradition". History of Religions. 31 (4): 329–343. ^ Ahluwalia, Jasbir Singh (March 1974). "Anti-Feudal Dialectic of Sikhism". Social Scientist. 2 (8): 22. doi:10.2307/3516312. JSTOR 3516312. ^ "Home page". Universal Pantheist Society. Retrieved 8 August 2012. ^ World Pantheist Movement. "Naturalism and Religion: can there be a naturalistic & scientific spirituality?". Retrieved 4 September 2012. ^ Stone, Jerome Arthur (2008). Religious Naturalism Today: The Rebirth of a Forgotten Alternative. Albany: State University of New York Press. p. 10. ISBN 978-0791475379. ^ Bron Raymond Taylor, "Dark Green Religion: Nature Spirituality and the Planetary Future", University of California Press 2010, pp 159–160. Wikimedia Commons has media related to Pantheism. Mander, William. "Pantheism". In Zalta, Edward N. (ed.). Stanford Encyclopedia of Philosophy. Herbermann, Charles, ed. (1913). "Pantheism" . Catholic Encyclopedia. New York: Robert Appleton Company.